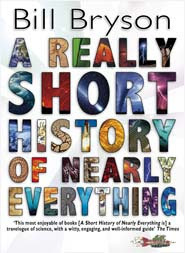 We loved the "short" version of his book (A Short History of Nearly Everything) and now there is a "really short" version. Bill Bryson again travels through time and space to bring the world, the universe and everything to a younger audience. Packed with photographs, cartoons and illustrations this is the perfect book for enquiring minds who want to uncover the wonder and mysteries of science. Dare we say it, another great stocking filler.